Pastor and Head of Staff (for over 20 years! ), Reverend Steven Melde is originally from Scottsdale, AZ. Pastor Steve earned his Bachelor of Science Degree at the University of Arizona and a Master of Divinity from Princeton Theological Seminary, Princeton, NJ. He served as Associate Pastor at Grosse Ile Presbyterian Church in Grosse Ile, MI, from 1988 to 1996. He returned to Tucson in August 1996 to become Pastor of CPC. Steve remains an avid UofA Wildcat Fan. Steve’s wife, Debbie, is a Middle School Math teacher with the Amphi School District, and they have two children. Their son, Scott, and his wife Nicole, have a two sons, soon to have three, who bring great joy to the Meldes (and the congregation). Scott and Nicole work and live in Tucson. 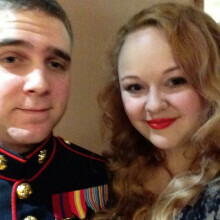 Their daughter, Erin and her husband, Brennan Redd, live and work in Tempe, Arizona. Director of Children’s Education, Robin Gilbert was born in Toledo, Ohio, but has lived in many places including Germany and England as an Air Force wife. While being stationed at Davis Monthan Air Force Base, here in Tucson, she took her love of children to new levels as a Boy Scout leader, Girl Scout Leader, coach for t-ball and soccer for her children, and a Sunday School teacher at Christ Presbyterian Church. She finished her Bachelors of Science Degree in Education at Northern Arizona University and is currently teaching 1st grade at Safford K-8 International Baccalaureate where she has been teaching for five years. Now that her two children are grown, she was excited to become more involved in the education of the children here at CPC by becoming our director of children’s education. Organist, Dr. Kathryn Baker Snodgrass is a native Canadian who came to Tucson in 1979, where she received a Doctoral Degree in Organ Performance from the University of Arizona. She holds a Music Bachelors from The University of Western Ontario and a M.A. from the Eastman School of Music. She taught at the University of Western Ontario for eight years before coming to Tucson. She has performed organ and piano concerts in Canada, United States, United Kingdom and Europe. 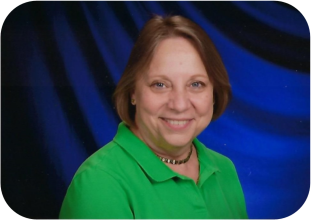 Kathryn was Organist at St. Andrew’s Presbyterian Church for 14 years followed by 6 years at Christ Church United Methodist before becoming the organist at Christ Presbyterian Church. She also has a private music studio teaching piano students ranging in age from 8-84. 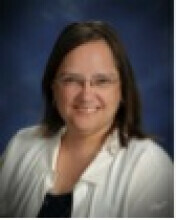 She is an active member of the American Guild of Organists and the Tucson Music Teachers’ Association. 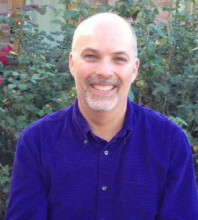 Facility Manager, Lon Bothwell grew up in Tucson and attended Sahuaro High School. He continued his education at the University of Arizona where he earned his Bachelor of Science Degree in Agriculture. He obtained a Masters of Management at the University of Phoenix. Lon retired from a successful law enforcement career in Arizona where attained the rank of Captain. Upon his retirement, he worked as a Project Manager within the construction industry until creating his own facilities management company. Lon’s love for adventure takes him traveling around the world to exotic locations on hunting trips. Closer to home he enjoys skiing, fly fishing, trips to Mexico and the movies. Katy McNiff, Music Director is a lifelong church musician whose own journey has involved both choral and solo work throughout her childhood in her family's church and later included music leadership in various church communities. She has found her way to Christ Presbyterian Church, sharing a love for an open and welcoming congregation and the belief that all are welcome to share in the love of Jesus Christ. 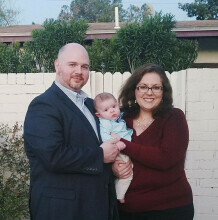 A "transplanted Michigander", Katy and her husband, Dr. Brian McNiff, live in Tucson with their son William. Mrs. McNiff teaches Music full-time at the East Tucson Leman Academy of Excellence. In addition, she is the Founder and Director of Audivi Vocem Conductors Choir Summer Institute. 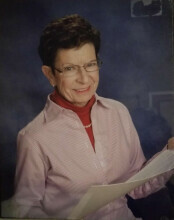 Mrs. McNiff has taught with the Tucson Unified School District as an Arts Integration Specialist and Teaching Artist, she has been the Assistant Director for the Tucson Masterworks Chorale, Artistic Director for the Bisbee Community Chorus, and Guest Conductor with the Arizona Rose Opera Company. She was the Chorus Master for the University of Arizona Opera Productions, Instructor for the University of Arizona Opera Scenes, and Conductor for four undergraduate ensembles at the University of Arizona. Mrs. McNiff holds a Master's Degree in Choral Conducting from the University of Arizona and Bachelors Degrees in Musicology and Voice from the University of Michigan. She is currently completing a second Master's Degree in Music Education at Arizona State University. The Church’s Bookkeeper, Robin Plemmons, hails from South Carolina. She met her husband, Rob, at Clemson University. After Rob’s graduation, the couple married and moved to St. Louis where Robin completed her Bachelor of Science degree in accounting at the University of Missouri – St. Louis. BC (before children), she worked at a couple of CPA firms and achieved her goal of being a licensed CPA in the state of Missouri. Robin, Rob, and their children lived in suburbs of Atlanta and Los Angeles before moving here to Tucson in summer of 1999. Although a stay at home mom during that period, Robin volunteered as treasurer for the church the family attended and at various schools that the children attended. More recently, she worked as a business manager for a local church. During her off time, Robin enjoys travel, especially to see her children in Virginia and Texas plus her 2 grandchildren in Texas. The Church’s Office Manager, Erica Adams, is originally from Arvada, CO. She has an Associate of Science degree in Psychology, a Bachelor of Science degree in Criminal Justice Administration, and is finishing a Master of Arts degree in Human Resource Management. Her husband, Tom, is an active duty Marine Corps recruiter here in Tucson. They’ve also lived in Oceanside, CA and Charleston, WV. In July of 2016, they moved to Tucson on military orders. They have one daughter, Aubree, who is the light of their lives, and two dogs, Duke & Cheech. Erica began working at CPC in January of 2018. She and her family are avid sports fans and enjoy watching their two most favorite teams play: the Colorado Rockies and Denver Broncos. 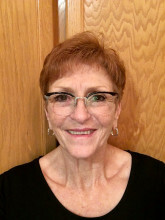 Debby joined Christ Presbyterian Church staff as the Coordinator of Congregational Care in January of 2019. Debby and her family joined CPC in 2009 and served in organizing the Compassion Connections Visitation Ministry. Prior employment includes CPC as Office Manager, Alzheimer’s Association as the Southern Arizona Programs Manager and Rincon Congregational United Church of Christ as Minister of Community Care. She is a caregiver for her mother, Dot Young. Debby is blessed with 2 adult children, 6 grandchildren, 1 great grandchild and their families who live in Tucson. Her heart and passion are in serving in the ministry for elderly and VIPP (Visited In Person People) to share with them of the love of Christ and their church family.